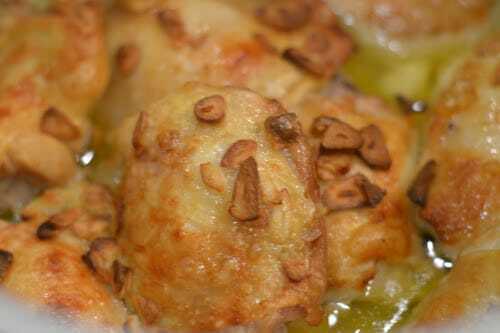 Step out and try my incredible Ninja Foodi Spanish Garlic Chicken! Tender and juicy chicken, seasoned to perfection, and paired with a bold and vibrant sauce to spoon over the chicken for added flavor. You guys I hit a jackpot with this recipe right here! 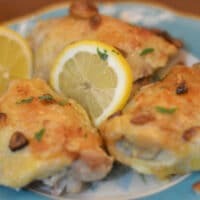 If you are a fan of chicken and garlic, than this recipe is a MUST! The Ninja Foodi cooked up the chicken perfectly, and I am happy to say my whole family loved this recipe. I had some chicken staring at me in the fridge that I just knew I wanted to step out of the box with. I remember a recipe I made awhile back for a dinner date at home. This chicken was tender, juicy and bursting with flavor. I opted for bone in chicken I find it gives more flavor to this dish. You can buy your favorite cut whether a mix, drumsticks, or even thighs. This recipe can work with boneless chicken as well, you just have to watch to ensure it doesn’t dry out as it cooks. Sides are welcome for this dish, and you can find what fits your family best. I will share a handful of ideas with you below to consider! As you can see the sides are endless! This Spanish chicken is phenomenal and is versatile on how to pair side dishes with. 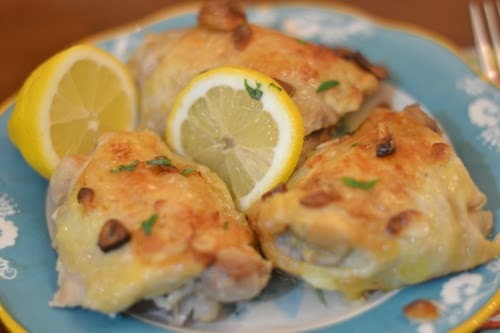 Store your Spanish Garlic Chicken in the refrigerator for up to three days. Just place in a storage container until ready to eat. This chicken reheats beautifully and is a tasty option for meal prepping for the week. I have placed leftover chicken in single serve containers and used it for meals whether it was lunch or dinner down the line. I have not tried freezing this chicken but I don’t see why it wouldn’t work. You can use a freezer vacuum sealer or freezer bags to seal up your chicken. Freeze up to 2-3 months time. To reheat thaw in fridge the night before then place in a pan and wrap tight with aluminum foil and warm up in the oven. The aluminum foil will help prevent your chicken from drying out as it reheats. Or you can warm in microwave if you prefer. With a few steps, you can have the best chicken recipe of all time. Serve this for entertaining guests or a weeknight dish to feed your crew. I hope you all enjoy this recipe as much as my family has! Put 1/4 cup of butter in you pot on saute. Toss in 5 whole garlic cloves. Let saute until butter is melted. Pour in 1/4 cup of chicken broth. Add in chicken thighs. Continue to saute for a few minutes. Press Pressure (it should automatically set to HIGH pressure). Set time to 8 minutes. Hit START. Once done, do a quick release. Remove the thighs to a plate. Dump 3/4 of the leftover liquid. Place your thighs back into your pot. Sprinkle garlic salt over your thighs. Pour 1/4 melted butter over the thighs. Add in 1/2 cup of Sherry. 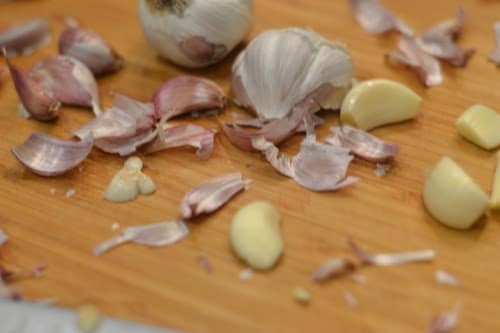 Pour in the 3 cloves of sliced garlic. allowing some of the pieces to fall on top of your thighs. Saute until the garlic pieces are brown and caramelized. Close the crisping lid. Press Air Crisp, time will automatically be set to 20 min, adjust to 15. Ar Crisp for 10 -15 minutes. You will want to open your lid and check on your thighs for brownness. Serve with as much of the liquid, garlic gold as your heart desires. You are using thighs but in the instructions is says thighs and wings.